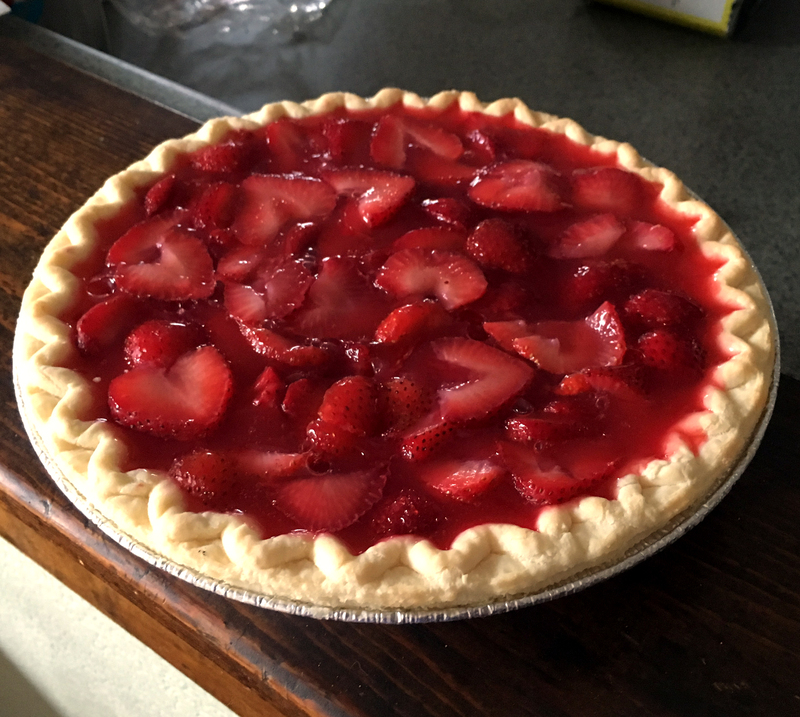 Arrange strawberry slices in pie shell, packing tightly. Combine sugar, water and corn starch in sauce pan over medium heat. Cook and stir until mixture is clear and thickened. Stir in food coloring. Remove mixture from heat and stir in jello powder. Let mixture cool slightly, then pour over berries. Be sure all nooks are filled in. Refrigerate for 3 hours. Serve with cool whip.